From celebrated Brazilian actress and bestselling author of The End Fernanda Torres comes a hilarious send-up of the art and artifice of acting, in which a star of stage and screen’s disastrous turn as King Lear sends him into a tragicomic tailspin. As an actor, Mario Cardoso has everything going for him: acclaim, an elevated lifestyle, artistic achievement. His apex will be staging a production of Shakespeare’s masterpiece King Lear. Everything is going brilliantly until, seeing his co-star dressed as chicken with a diaper, he breaks down in hysterical laughter, and does so again in each subsequent performance. Mario’s troubles worsen when he receives a call reporting that his mother has been found unconscious on a beach in Rio. He abandons Lear and returns to her—and enters a swirl of family drama he’d determined to leave behind. His first shot at recovering his career comes in the guise of a biblical role in an evangelical TV station’s production of a soap opera: Sodoma. He has a torrid affair, finds love, and lands a deal with the country’s biggest TV network for steady work in soap operas. Mario’s new life brings fame and money that theater could never match—but compromises he’s made in the past come snarling back to bite him, and his next stage set will be one he never anticipated. 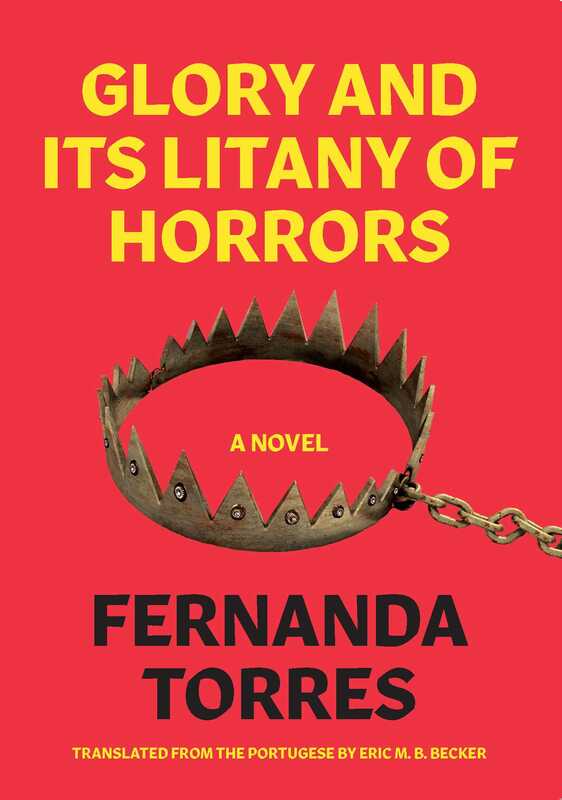 With the wicked humor and fleet-footed pace that made her novel The End a runaway bestseller in Brazil and a critical hit in the U.S., Fernanda Torres’s Glory and its Litany of Horrors is a wise and funny send-up of a generation that witnessed their ideas of art fall into the hands of the market, and their ideas of the future proven to be as illusory as theater. Fernanda Torres was born in 1965 in Rio de Janeiro. The daughter of actors, she was raised backstage. Fernanda has built a solid career as an actress and dedicated herself equally to film, theater, and TV since she was 13 years old, and has received many awards, including Best Actress at the 1986 Cannes Film Festival. Over the last twenty years, she has written and collaborated on film scripts and adaptations for theater. She began to write regularly for newspapers and magazines in 2007 and is now a columnist for the newspaper Folha de São Paulo and the magazine Veja-Rio and contributes to the magazine Piauí. Her debut novel, The End, has sold more than 200,000 copies in Brazil.